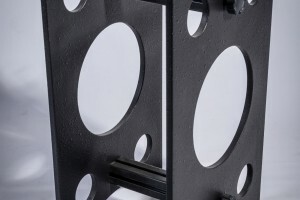 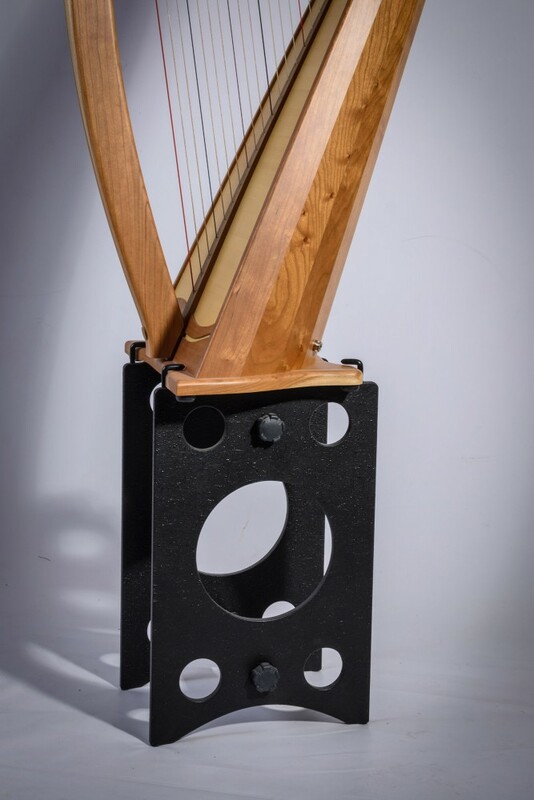 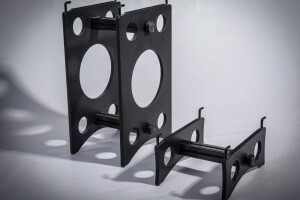 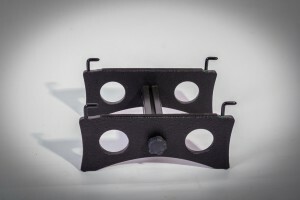 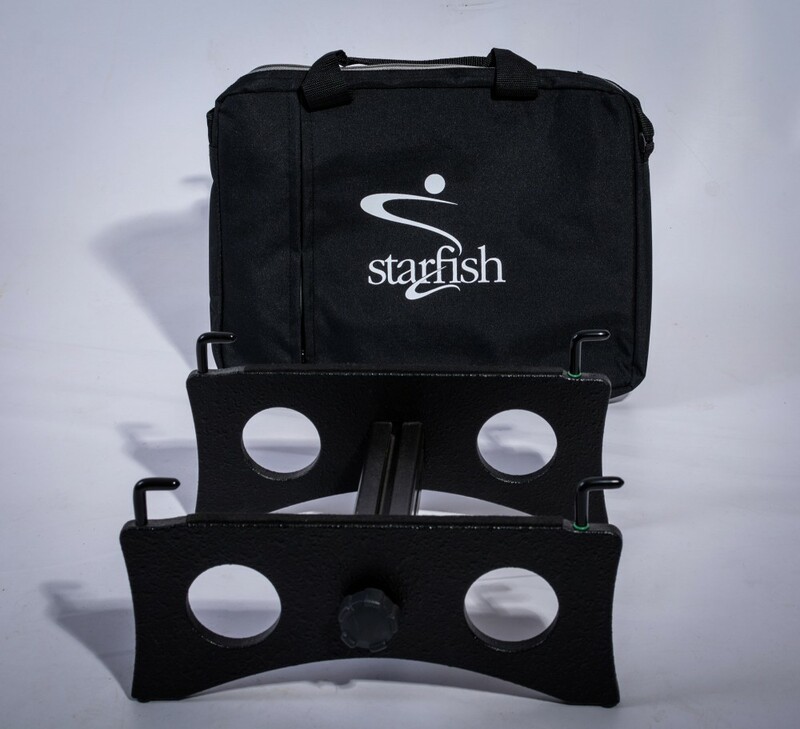 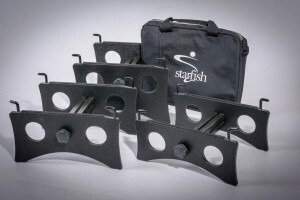 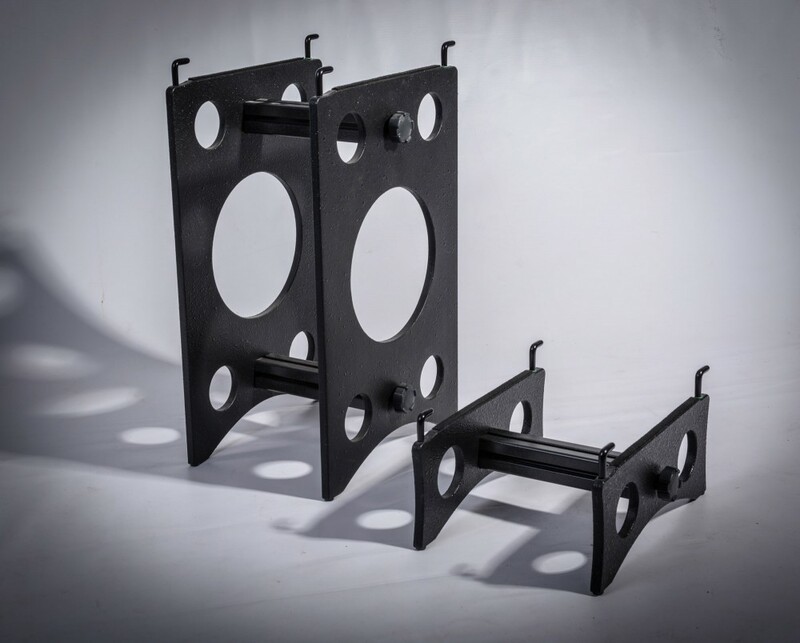 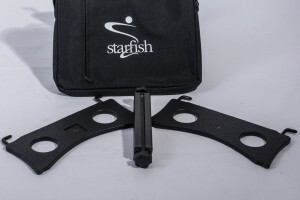 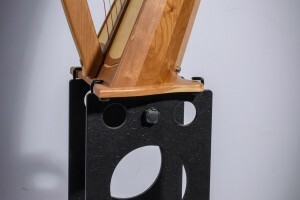 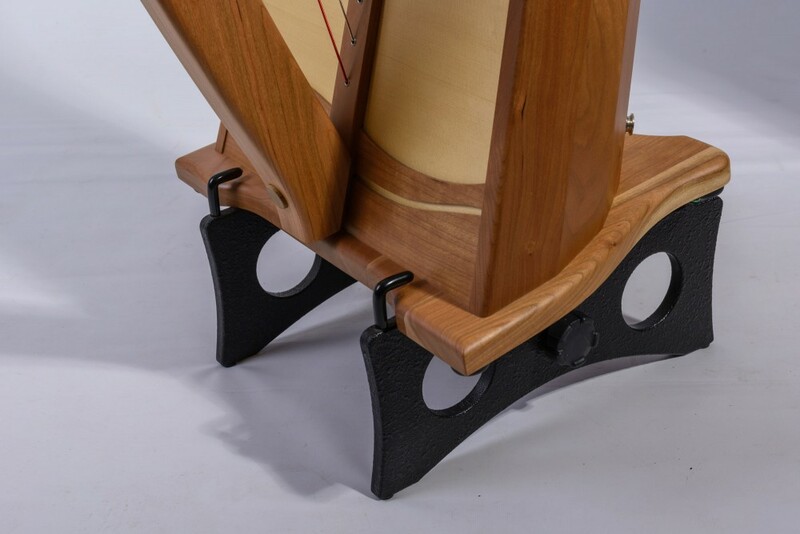 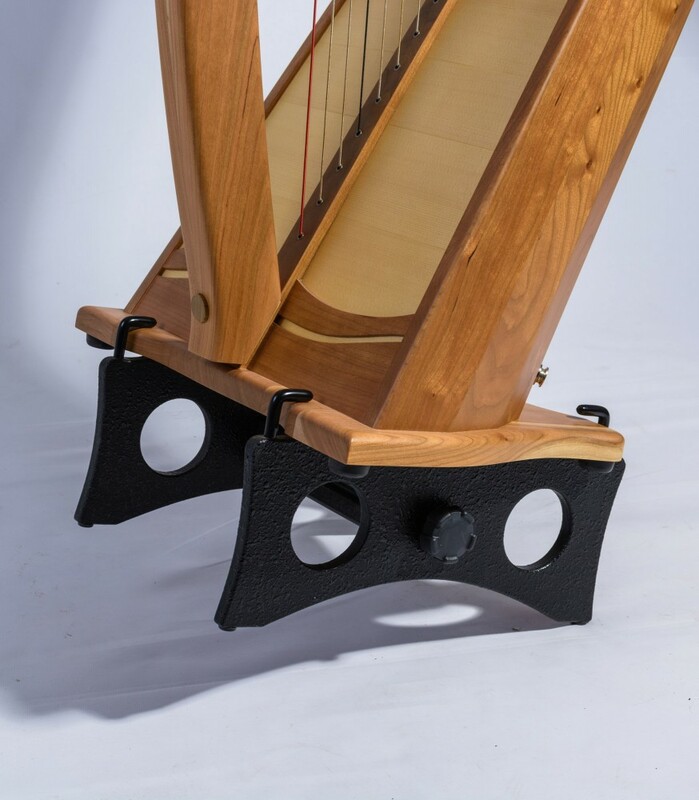 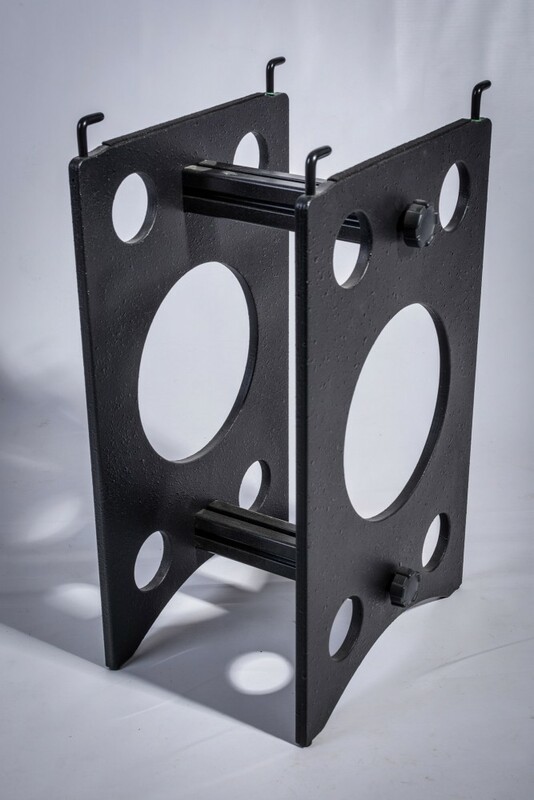 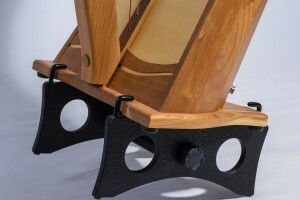 The stand is not fixed to the harp, instead the front of the harp base simply engages with the rubber coated hooks allowing both harp and stand to be tipped back into the normal playing position. 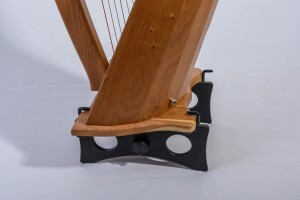 Rotating the rear hooks over the harp base allows the harp and stand to be lifted as one. 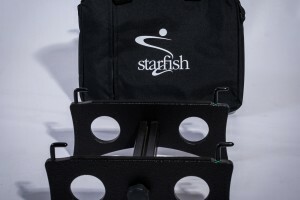 Three different sizes available for playing sitting down and two for playing standing up.